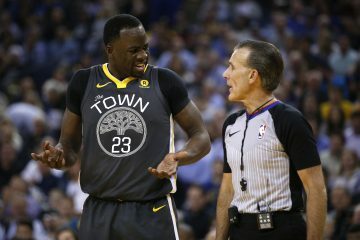 Following a near loss to the league-worst Philadelphia 76ers on Saturday, Draymond Green admitted to reporters he was “selfishly unselfish” in hunting for a triple-double. 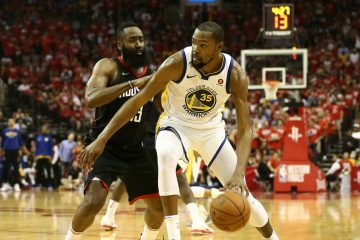 It is rare to witness an NBA player admit to chasing stats (Steve Kerr had a great reaction to it), but Green is a rare NBA player in many ways. He plays the power forward position despite standing only 6’5.75″. Labeled a “tweener” with an iffy jumper, he watched as 34 other prospects were selected ahead of him in the 2012 Draft. His nickname in college was “the Dancing Bear,” derived in part from his less-than-Herculean, pudgy figure. And yet, Green has overcome the odds to become an elite player in the league, one that will likely garner MVP consideration at season’s end despite playing alongside Stephen Curry, the greatest offensive threat in basketball. The undersized Green defies our conventional perception of a “star player” but those who follow the Warriors recognize his one-of-a-kind Swiss Army knife skill-set on the basketball court. 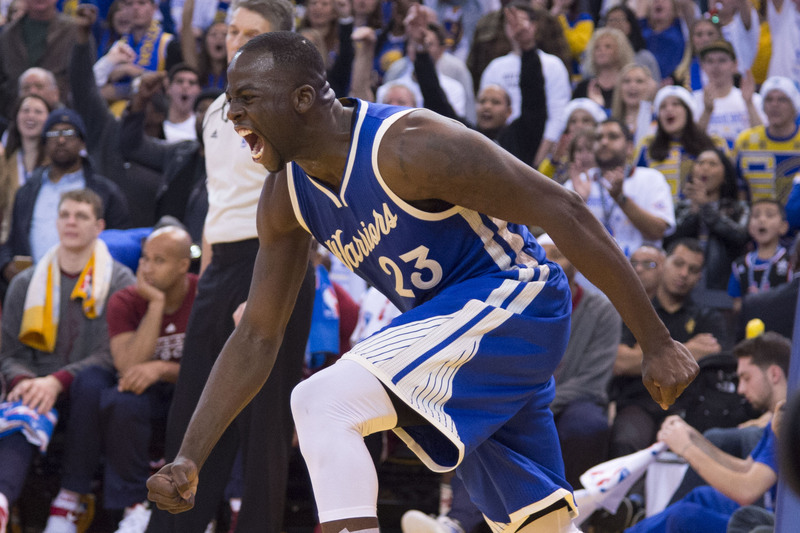 Curry might be the reigning MVP of the NBA and the best player on the team but Draymond Green is the quintessential cog that pulls all the Warriors’ pieces together to create a machine that just eviscerated the Spurs and Cavs by a combined 64 points. 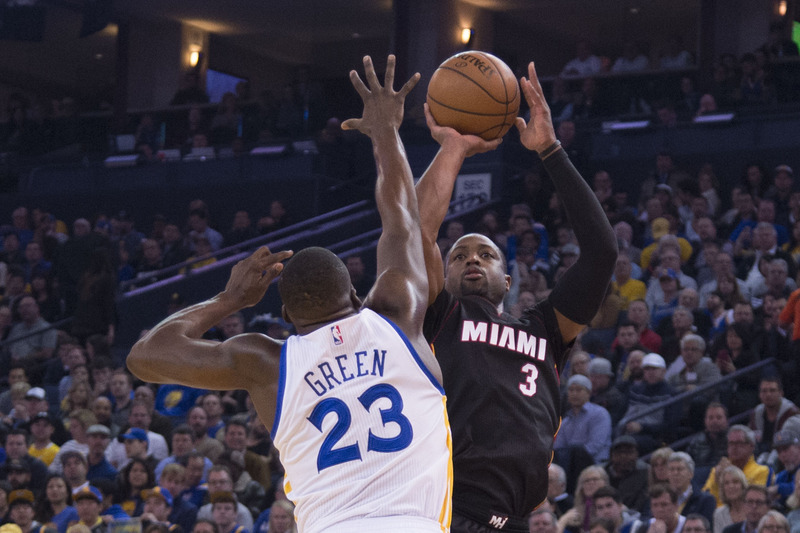 Golden State’s number one-ranked offense is predicated on Stephen Curry’s preternatural shooting but the second layer of the attack relies on Green’s ability to leverage that shot-making to take advantage of opponents caught in compromising situations. At that, Green is a master chef, able to fillet defenses for lobs at the rim, open shooters in the corners or his own buckets off runners and threes. He is sixth in the NBA in assists at 7.3 per game, the only non-guard to crack the top-11. 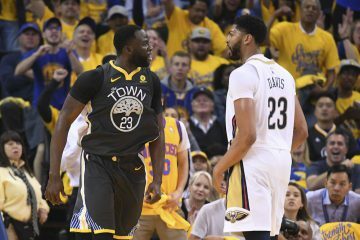 Regular viewers of Warriors games are familiar with the “Dray-il Break,” the play in which Green snares a rebound and flies down the court for a battering-ram drive in the lane or a quick whip of the ball to an open teammate. While those are the kinds of plays one would expect from a guard adept at both rebounding and handling the ball, certainly not from a power forward, they are the sequences that exemplify Green’s multifaceted abilities. His stout frame, once seen as a detriment earlier in his career, now serves as a catalyst of his game, giving him a lower center of gravity to guard opponents that tower over him in the paint while maintaining the speed to blow by them in transition. Having the acumen to make pin-point passes does not preclude Green from scoring the ball. For the season, he has 14 games with 20 or more points and owns a 55% effective field goal percentage, better than all but 11 players in the league. His ability to get buckets efficiently comes as a result of vast improvement in a former weakness. After getting flagged as a shaky jump shooter entering the draft and then connecting on a paltry 21% from beyond the arc his rookie season, Green has made himself into a legitimate threat from deep currently making 42% of his threes. Defenders must now track him up to the three-point line, which opens up the court for drives in the lane and assists to waiting teammates. 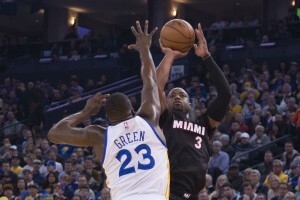 In addition to the three-point proficiency, Green has also increased his averages in points, rebounds, assists, blocks and field goal percentage in every NBA season. He is currently only 0.5 rebounds and 2.7 assists shy of averaging a nightly triple-double, a feat that has not been accomplished since Oscar Robertson pulled it off in 1962. Any concerns that Green’s play would regress following a massive $82 million payday have long since evaporated. Defensively, the Green-at-center “Death Lineup” needs no further introduction. 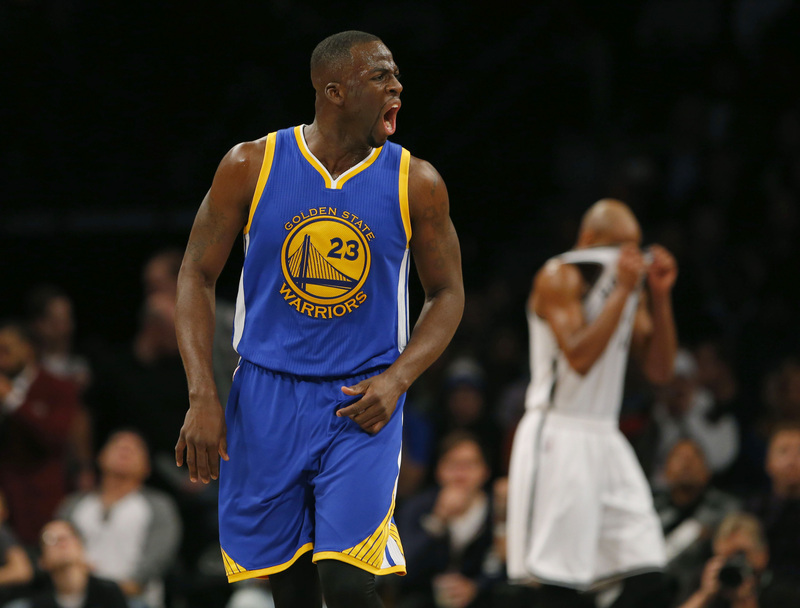 Draymond’s defensive prowess against opposing centers is the key that unlocks the Warriors’ caged-tiger small-ball unit in crunch time. His ability to legitimately guard five positions, from behemoths in the paint to lightning quick guards on the perimeter, allows the Warriors to play him, Curry and three long-armed wings in a frenetic defensive scheme that switches at every opportunity and denies all passes into the post. On the other end, the group spreads the floor wide open with shooters lurking in every corner. For the season, the Green-Barnes-Iguodala-Thompson-Curry lineup has outscored opponents by more than a point per minute in 105 minutes of action (per basketball-reference.com). 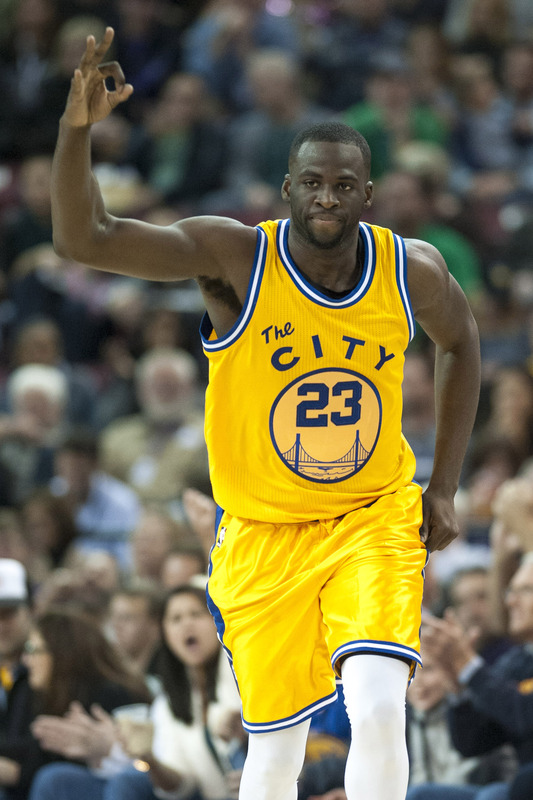 That is the group the Warriors call on to close out tight games and Green’s defensive versatility makes it possible. Of course, Draymond is not all small-ball gimmickry since he is a pretty good defender at his usual power forward position as well. He ranks fourth in Defensive Real Plus-Minus (RPM), ahead of even Kawhi Leonard, last season’s Defensive Player of the Year. In a showdown against San Antonio and LaMarcus Aldridge, Green showed off those defensive chops, using his agile feet, quick hands, and lower body strength to force the 6”11’ Aldridge into a forgettable 5-point, 2-of-9 shooting night. Green is not without his faults on the court. He can get a little careless with the ball, especially on unnecessary home run passes in transition, and his mid-range game remains suspect. 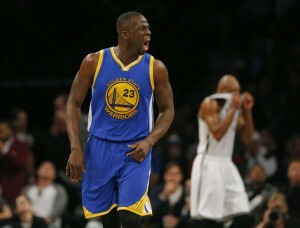 His emotional outbursts have led to 11 technical fouls on the season, second only to Dwight Howard. However, those flaws can easily be overlooked when one considers all the positives he brings to the team, particularly as he currently sports the fourth-highest RPM rating in the NBA. Detractors say that figure is in large part due to him playing the lion’s share of his minutes alongside Curry, whose otherworldly talents would buoy anyone’s numbers but that argument works both ways. Green’s probing play on offense and unrelenting pressure on defense is the apparatus that allows Curry (and the Warriors) to ascend to the stratosphere of the all-time greats. Earlier in the season, before the All-Star recognition and before amassing a league-leading nine triple-doubles, Jerry West called Green one of the ten best players in the league. It is hard to argue with The Logo when you watch the do-everything forward demonstrate his skills for a Warriors squad on pace to win 75 games but doubters still exist. There remain people who cannot see his brilliant play for the system. 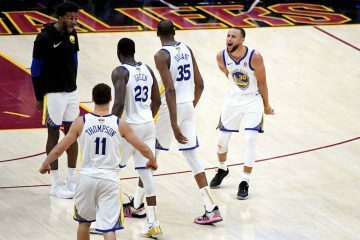 For those who belong in that category, turn on a Warriors game sometime, witness the offense unfold when Curry gets doubled, or watch the defense morph into a multi-tentacled monster in crunch time, and there is a good chance you will see Draymond Green, making a play not many others can, selfishly hunting for another team victory.